Rain and snow are expected to hit northern Arizona through Wednesday. 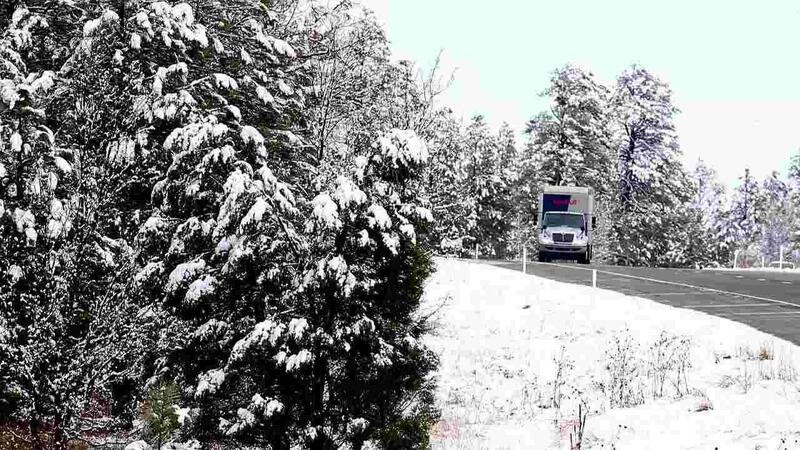 Snow created hazardous driving conditions in northern Arizona following a snowstorm in November 2018. A winter storm watch has been issued for areas in the White Mountains above 7,500 feet starting Monday afternoon. Periods of heavy rainfall are forecast with snow and gusty winds. The three-day storm could drop up to 6 inches of snow on Williams, with Flagstaff and Show Low getting up to 5 inches. The National Weather Service says the first storm system will arrive early Monday. Heavier and more widespread precipitation will move in by Monday evening and continue through Tuesday afternoon. After a brief lull Tuesday evening, a second system will quickly move in and increase precipitation coverage and intensity again. The second system will bring much cooler air with snow levels quickly falling Tuesday night into Wednesday. Navajo Nation President Jonathan Nez has vetoed $3 million that the Navajo Nation Council approved for an ongoing snow emergency.